I have to seriously thank the new “LeVar Burton Reads” podcast for getting any reading done this month. It’s basically the adult “Reading Rainbow,” and I didn’t realize how much I needed it in my life until it appeared. Thanks to the podcast, I was able to rack up several completed “books” which were really individual short stories, and add a few short story collections to the list of books I want to read. Outside of the short stories in the podcast, I was also able to finish a real physical book of short stories. Kin is a short story included in Bruce McAllister’s collection of short stories entitled The Girl Who Loved Animals: And Other Stories. I listened to LeVar Burton read Kin as part of the first “LeVar Burton Reads” podcast. I was impressed both with Burton’s ability to read a story and with how well McAllister was able to tell such a moving story so quickly. I am hoping to be able to read the entire collection soon. The Lighthouse Keeper is part of the short story collection FEN: STORIES by Daisy Johnson. While The Lighthouse Keeper wasn’t the type of story I would have chosen on my own, I did find it to be told beautifully. And Burton’s reading of the story really made me want to give the other stories in the collection a try. Empty Places is a short story by Richard Parks which is a novelette, published in Realms of Fantasy (fantasy and speculative fiction magazine) in 2005. This novelette was performed over the course of episodes 3 & 4 of ‘LeVar Burton Reads.’ I really enjoyed this particular story for several reasons. I liked that it took place in a fantasy world with wizards and such, but magic wasn’t the driving force of the plot, and also because the story didn’t have the ending I expected. And, in trying to find out more about the story for this post, I discovered that Parks has written 2 full-length novels featuring Tymon the Black. They include The Long Look and Power’s Shadow, both of which I hope to be able to find soon. 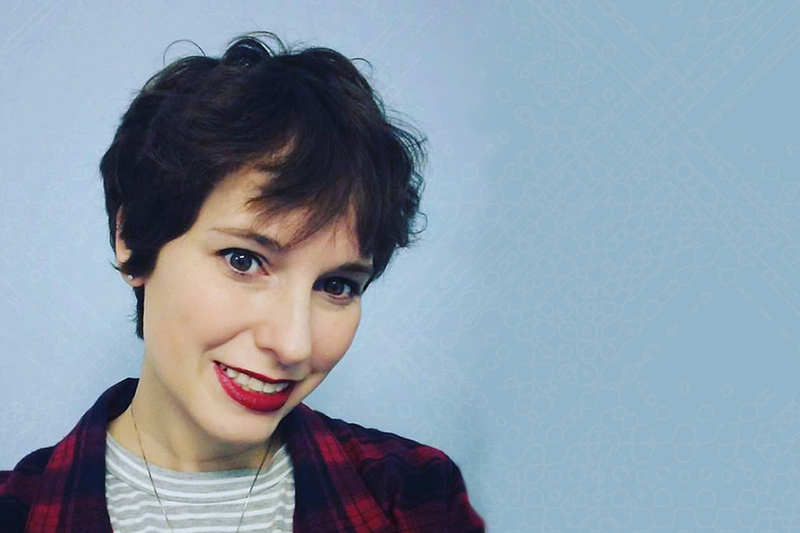 What it Means When a Man Falls From the Sky by Lesley Nneka Arimah, was featured in episode 5 of ‘LeVar Burton Reads.’ It took me a few minutes to get into this story, but once I did I had that same “can’t put it down” feeling that the best books give you. What it Means When a Man Falls From the Sky is a piece of speculative fiction and part of a collection of stories by the same name. I will definitely be purchasing this book to feed my need for short stories. Graham Greene is part of the short story collection Half an Inch of Water by Percival Everett and was the featured story in episode 6 of ‘LeVar Burton Reads.’ I found this story to be very intriguing. It starts simply enough, with a man receiving a letter asking him to go visit a woman he had done work for years ago. And he goes. Throughout the story I made assumptions, and the end I had to rethink them. That’s a good enough reason for my to add Half an Inch of Water to the list of books I would like to read. Chivalry is part of the short story collection Smoke and Mirrors by Neil Gaiman. One of my favorite authors, I’d read this short story collection some time back, but it was very interesting to hear Burton perform Chivalry as part of the 7th episode of ‘LeVar Burton Reads’ This particular short story centers around a widow who purchases the holy grail in a charity shop, and consequences of that purchase. I am always fascinated by Gaiman’s writing, but gained a new appreciation for this story thanks to Burton’s insights, which followed the reading. If you are a fan of Magical Realism, I’d recommend giving Smoke and Mirrors a try. 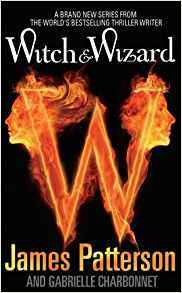 Witch & Wizard is the 1st book in the Witch & Wizard Series by by James Patterson and Gabrielle Charbonnet. I listened to Hachette’s audio edition of the book as read by Elijah Wood and Spencer Locke. As a rule, I tend to avoid super popular authors like James Patterson, so this YA Fantasy he co-wrote with Charbonnet is the first of his works that I have read. And reading (listening) to this book reminded me why I avoid so many popular/mainstream authors. I liked the plot of the book, but the writing was lacking. The descriptions didn’t draw me in at all. If it weren’t for the fast-moving and interesting plot, I’m not sure I would have finished the novel. There are several more novels in this series, and if I run out of other available books I’m interested in, I might listen to them, but unfortunately this writer or thrillers didn’t leave me wanting more. Munro vs. the Coyote by Darren Groth is a YA novel, featuring a 16-year-old boy who’s sister recently died of complication related to downs syndrome, and his struggles to come to terms with that death. I got to read an ARC (Advance Reader Copy) of this novel thanks to NetGalley. I really enjoyed this novel and I hope you take a moment to read my full review of the book here. Through the Sad Wood Our Corpses Will Hang by Ava Farmehri– I’m reading an ARC copy for review. This book will be available to the public on Oct. 1st, 2017. After Alice by Gregory Maguire– I’m listening to the audiobook edition of this novel. Bury My Heart at Wounded Knee: An Indian History of the American West by Dee Brown– I am VERY slowly making my way though the material in this book. It’s very interesting, but I’m dealing with cognitive dissonance related to the timeline of these atrocities on the native population. Dorothy Must Die: Stories Vol. 2 by Danielle Paige– I’m about halfway through these short stories now. I want to know what happens in the series, tho I’m still unsure about the changes Paige has made to to original OZ story lines. The Children of the New Forest by Frederick Marryat – This classic children’s novel is available for free for Kindle. Have you ever read an Advance Reader Copy (ARC) of a book for review? What do you find is the most important part of a book review for you? I’ve tutored text commentary for years, and the most important thing I tell my students is: “If you can’t back it up, don’t write it down.” I know that on the GR level, reviews are often just opinions, but anyone can give a reason for liking or disliking a book, surely? I’m not talking about the old lexico-semantic analysis with overview of symbolism etc, but when someone gives a book one star, or five, I’d like a bit more than “Best/Worst book EVAAAARRRR.” Or just “Boring.” Tell me what made it good or bad! Particularly when we’re reviewing an ARC (how do you get those??? ); the public is going to want to know what made it good or bad, fascinating or boring. That said, there have been a few books out there that affected me so strongly that it was hard to put my thoughts into words. One of those was Zlata’s Diary. I wrote a GR review that even I found extremely unsatisfying, but I just couldn’t express what I meant. It’s hard when you’re dealing with someone’s personal diary; so many people on GR seem to think that Anne Frank’s diary (for example) is a novel–they talk about it having no plot, no development, etc. Hello!! I’m having a bit of trouble, as every July/August…I don’t know if the heat affects my brain or what. I don’t know if I’ve just been picking losers or if I am more demanding in lousy weather–we’ve had 38ºC or thereabouts for the past nearly-three-weeks. I’m just counting the days til the Equinox, now. The heat here is a killer too. A couple weeks ago we had heat advisories as the temperature was around 38ºC with a heat index of close to 43ºC. As for getting copies of ARCs, most people who read ARCs do so to write reviews for book blogs, but some people are librarians, and other people who do book recommendations. Personally, I get most of my ARCs through NetGalley (http://www.netgalley.com). I recommend you take a look, as you might qualify. And, you are always welcome to write up a review and share it here.